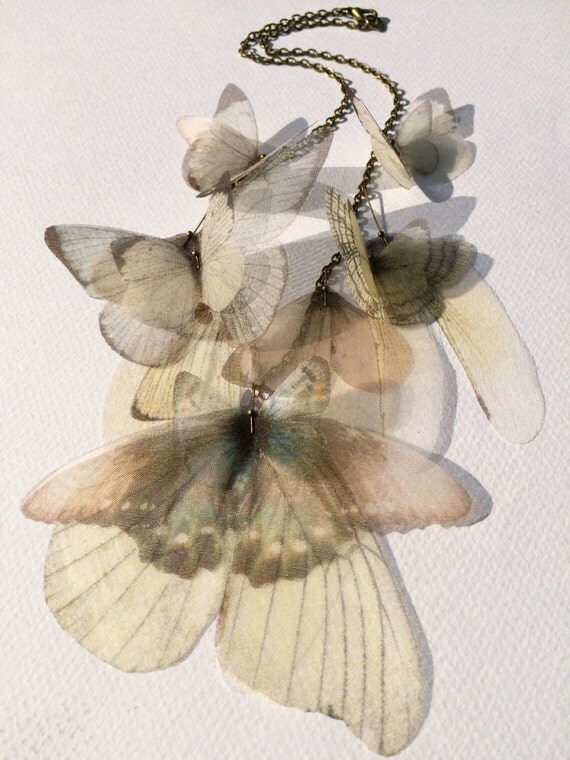 Pastel colors: ivory, pale blue, beige and a little bit of pale grey. Antique bronze chain, with lobster clasp, is long about 47 cm. I handmade this gorgeous coat jacket using floral heavy cotton and a lot, lot, lot of love. You can’t find this coat anywhere! The colour base is pale blue with ivory, pink, blue, brown and lemon green spots. If you’re interested in something like it, in different sizes, fabrics or colours, contact me for a custom item. Please note that price for custom order is different, this is a sale price for this size only. 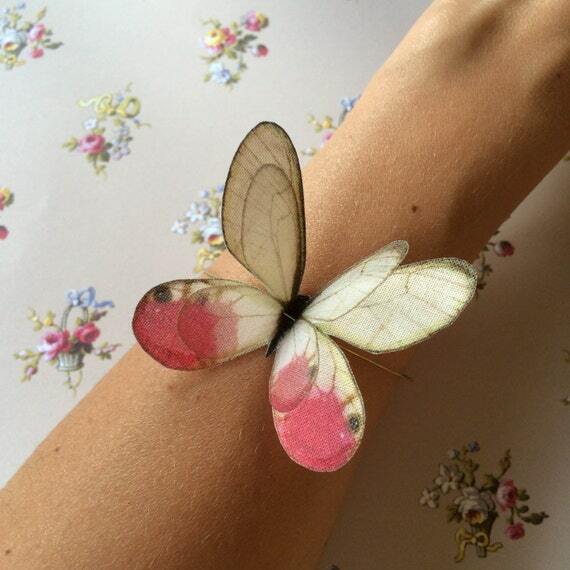 There are 2 butterflies on this bangle bracelet, and they measure about 6.5 x 5 cm. 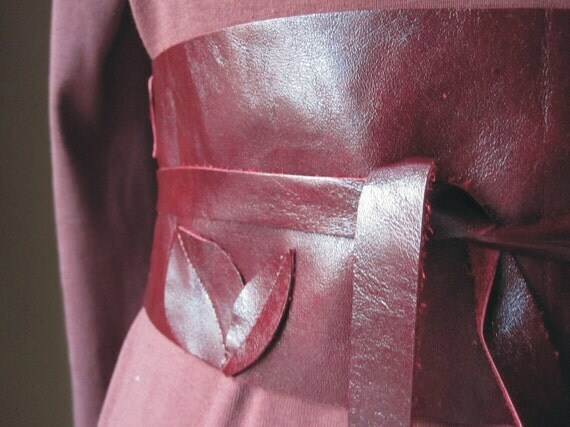 I handmade this beautiful obi belt using Italian leather in a rich dark red colour. Each leaf is hand cut and machine-sewn with patience and love. OOAK. It is long 200cm (central part -waist- 66cm), wide from 5.5 to 10.5cm and can fit any size. This obi belt can you feel like a fairy in a autumnal forest.. it is so natural, so easy but really special! You’ll receive exactly the belt shown. The antique pink/burgundy dress shown is not included. It’s part of my clothing collection “undici luglio” (facebook page). If interested convo me, thanks! A miniature scene of two tiny Nymphalidae RED butterflies: a Brentis Ino and an Heliconius Doris, in a garden, made of sintetic grass and a real tiny stone. 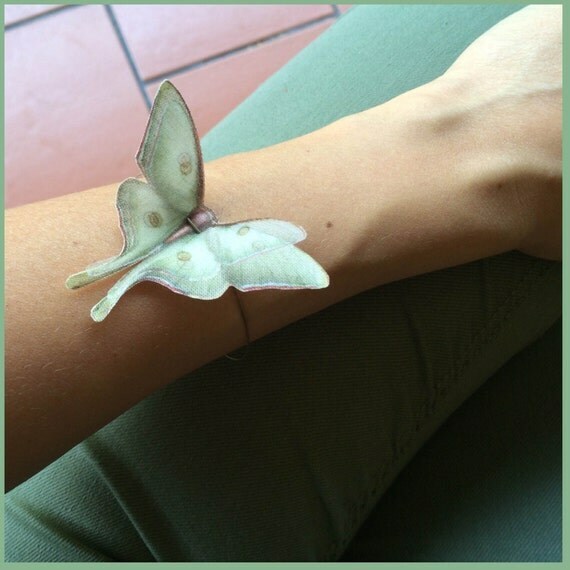 The wings of these tiny butterflies measure only 8mm. Each particular is completely hand-made. Unique OOAK ring. The glass bauble is hand-blown with Pyrex glass. It is very sturdy, not fragile and not easily breakable. However, it is still glass and care should be taken while wearing this ring. 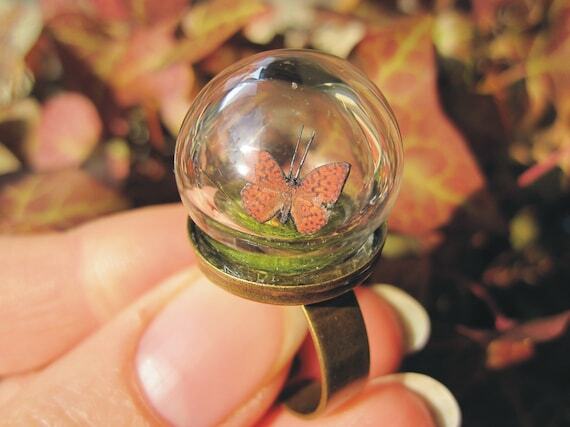 This tiny and magic world is nestled in an antique bronze bezel cup adjustable ring. Are also available silver plated and sterling silver ring (price may vary). Please contact me for prices. I’ll ship this ring well packaged in a special ring-box, for a gift or as gift for yourself (why not?) with Registered Airmail. You’ll receive the tracking number, then you can track your package in www.poste.it/en web. Trackable and safe, but not insured.